"This reprint of the 1970 edition tells the story of clever Mr. Fox, his adoring wife, and their four small children, who outsmart three of the nastiest, ugliest, and ultimately dumbest farmers ever to raise poultry. Librarians will want to consider purchasing this newly released edition."--"Booklist." 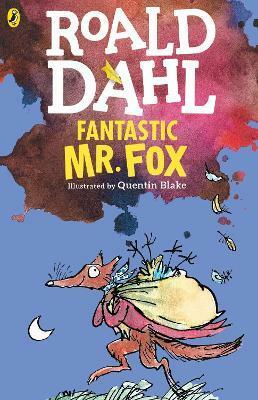 Roald Dahl was a spy, ace fighter-pilot, chocolate historian and medical inventor. He was also the author of Charlie and the Chocolate Factory, Matilda, The BFG and many more brilliant stories. He remains the World's No.1 storyteller. Sir Quentin Blake, the first-ever Children's Laureate of the United Kingdom, has illustrated nearly 300 books, including most of Roald Dahl's children's books. He lives in London.